Whether you are seeking space saving features or simply fun and attractive designs for your child's bedroom, the Bunks collection will have what you are looking for. 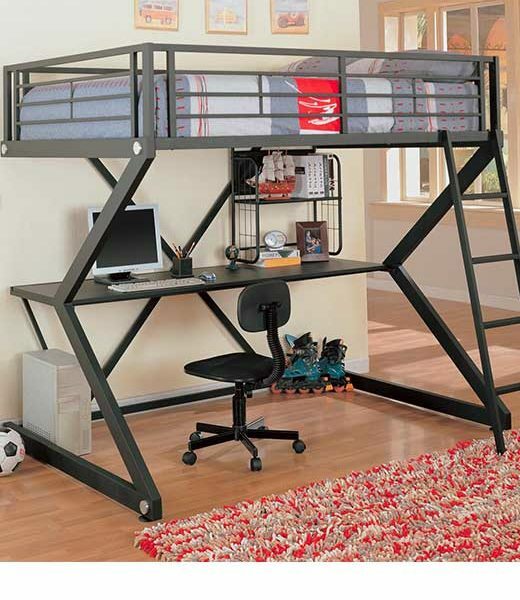 Fun with function, this updated style full loft bed conveniently includes a desk with lots of space. 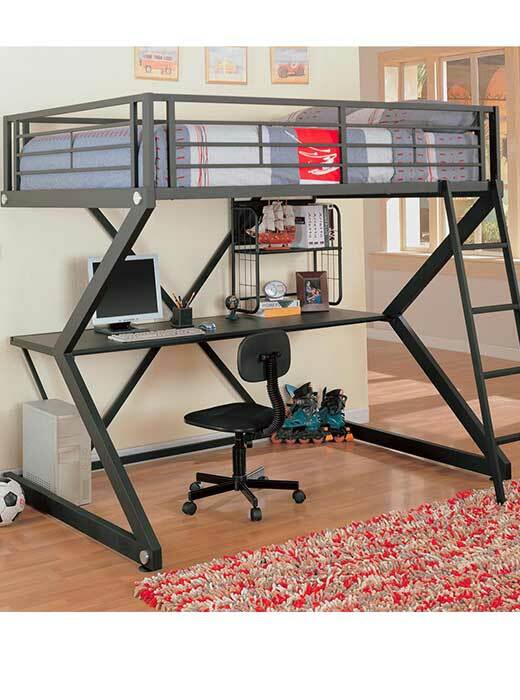 This piece will allow your child to study in the comfort of his or her own bedroom! Full length side rails provide security, while the included ladder offers easy access to the top bunk. The complete set comes in a black matted finish and is versatile and sturdy with a pleasing casual contemporary look. Whether you are seeking space saving features or simply fun and attractive designs for your child’s bedroom, the Bunks collection will have what you are looking for. Constructed from either solid hardwoods or metal, each bunk bed and loft bed has unique characteristics. Further, full length guard rails provide security, while convenient coordinating ladders offer offer easy access to top bunks. With a variety of styles to choose from, pick the perfect look for your child’s individual space and style. Left and Right panels are constructed of one piece. Back one piece cross brace for added stability.